Our new Mazak Compact VCN 5-Axis and our HyperQuadrex 100 MSY have arrived. These CNC machines will aid us in lights-out machining and in machining small, intricate, production parts. The HyperQuadrex has 2 spindles and 2 turrets with full milling capabilities. Coupled with a bar feeder and a robotic parts unloader, the HyperQuadrex allows us to complete parts in a single operation without operator intervention. The Compact VCN 5-Axis comes equipped with a 50HP 20,000RPM spindle which allows us to rapidly machine small complex parts. The small work envelope of this machine means that it is well suited to run small high-volume parts such as cable connectors and backshells. LCP Machine is pleased to announce that we have been able to extend a cost savings of 10-20% to our Oil and Gas customers. Our success has come through a combination of engineering coordination, supply chain management, and tightened margins. If you are in the Oil and Gas industry and need to reduce your costs in order to keep up with the reduced oil price, then contact us today. LCP Machine has chosen Discus software as their AS9102 FAIR software. Discus allows our Quality Control department to quickly and accurately create ballooned drawings and inspection reports that comply with the rigorous standards of AS9100C. This purchase is part of our continued investment in quality and continuous improvement. We have recently added a new automated vision system to our lineup of quality equipment. 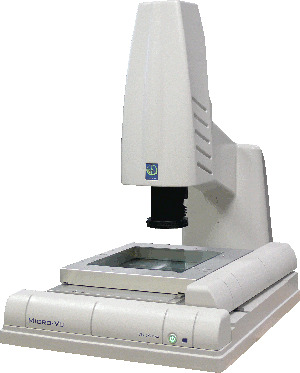 The Micro-Vu Vertex enables us to perform automated inspection on machined parts in a matter of seconds. Automated inspection increases the efficiency of our quality department and stops bad parts from making it out of the shop. LCP Machine is excited to announce that our AS9100C and ISO9001:2008 certificate has arrived. Our AS9100 QMS shows our dedication to quality and continuous improvement. All of our existing and new customers will benefit from the enhanced level of control that comes with being an AS9100 certified company. Another 5 Axis mill and a new lathe with live tooling! We have added 2 more CNC machines to our shop. We liked our last 2 5 axis mills so much that we bought a third! 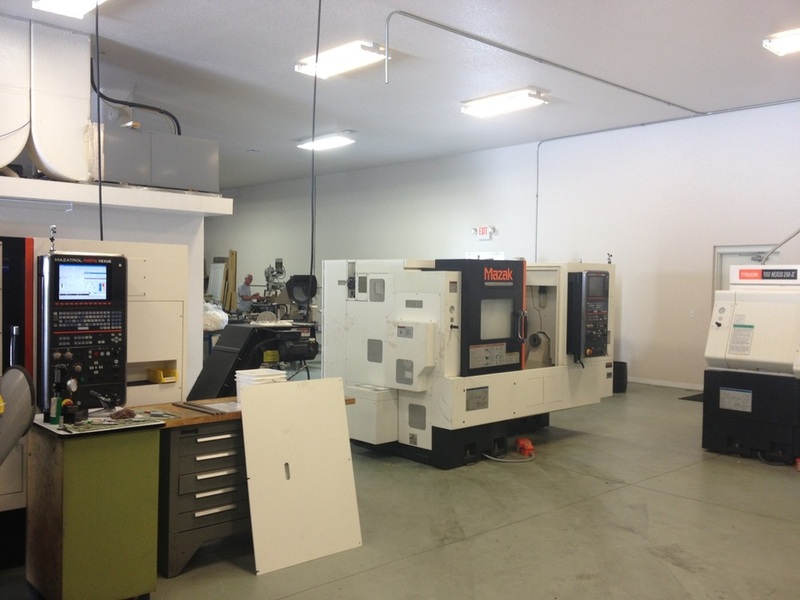 We also added a new Mazak 250 II M to expand our lathe department in order to support our growing customer base. AS9100C and ISO9001:2008 - Zero Findings! LCP Machine has passed its Stage 2 audit for AS9100C and ISO9001:2008. Our audit went extremely well, and we walked away with zero findings. These new credentials are a demonstration of our commitment to quality and continuous improvement. Our official certifications will be in soon, and we will send copies out to all of our current customers. If you have a job that requires CNC work, please contact us today. Our cnc machine shop has renewed its ITAR registration. Our ITAR registration shows that we are dedicated to protecting the design information and parts that are used in any job that is regulated by ITAR. If you need a machine shop that is ITAR registered to handle a precision job, then please contact us today. LCP has selected LiquidFiles as our secure file transfer system. This system allows our customers to securely send us documents without worrying about them being routed through foreign countries. 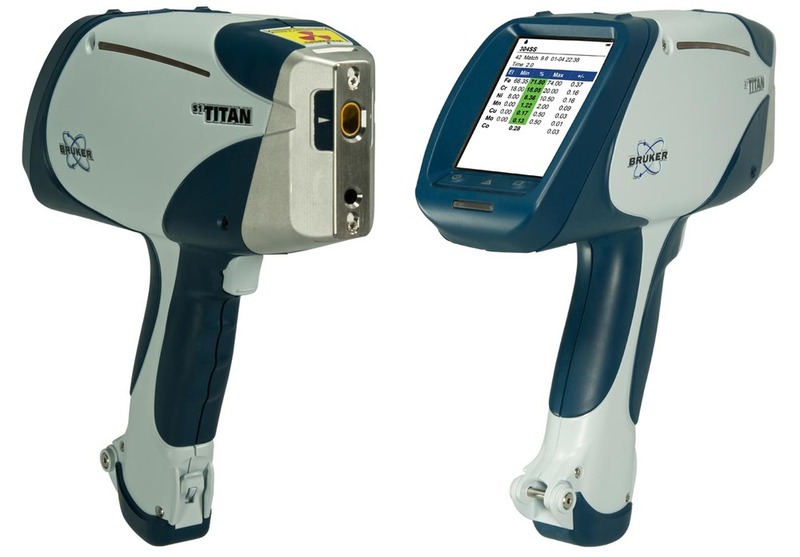 This system is one of many ways LCP stays compliant with ITAR regulations. LCP Machine Selects Perry Johnson Registrars! Our machine shop has selected Perry Johnson Registrars to handle our AS9100 and ISO 9001 registration. Our first audit has been scheduled for February, and we will have the entire process finalized by the end of March 2014. These registrations will give our current and future customers added peace of mind knowing that their precision CNC components are being manufactured to the highest quality standards for both general machined parts and aerospace components. 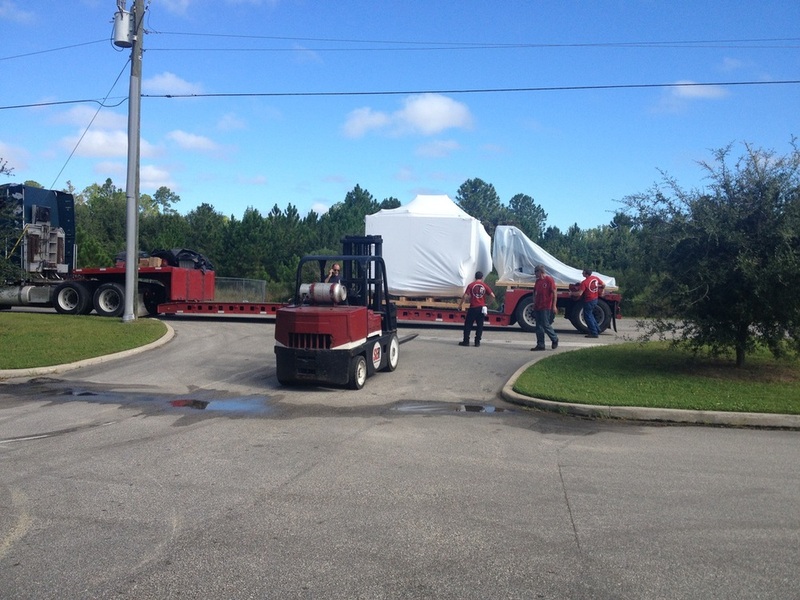 Our two new Mazak Vertical Center Universal 400A-5X (VCU 400A 5X) 5-Axis machines arrived this morning. The shop is a buzz; you would think it's Christmas morning around here! 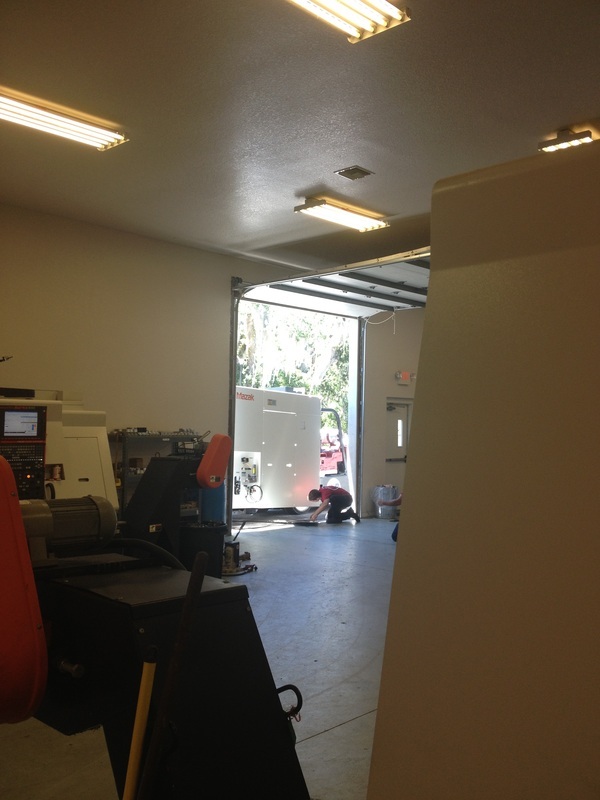 LCP Machine, Inc. is a precision machine shop located in Central Florida. If you have a need for 5-axis machining, please contact us. 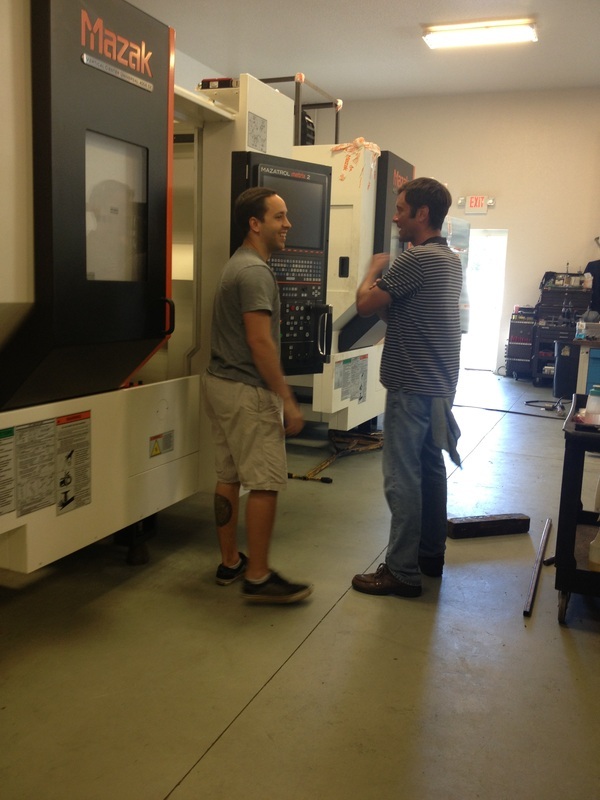 LCP Machine in Central Florida has recently ordered two brand new 5 Axis Mazaks. These Vertical Center Universal 400A-5X (VCU 400A 5X) machines enable our shop to take on complex designs while reducing the number of operations require to complete parts. Reduced operations – A 5 Axis mill allows the cutter to get to 5 sides of the part which allows a single operation to complete the same amount of work that a 3 axis mill would do in 5 operations. Less operations means lower run time, less human error, better quality, and more aggressive pricing for finished parts. Less fixturing – With less operations comes less fixtures. We can now reduce setup time by using less fixtures which reduces the price of the finished machined component. Better finish – 5 – Axis mills produce an excellent surface finish by keeping the machined material at the optimal angle to the cutting tool. 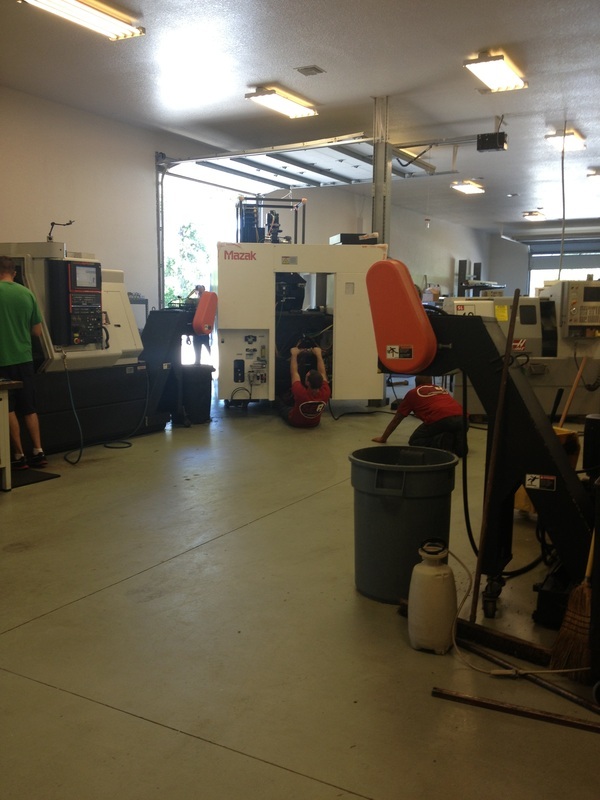 LCP Machine in Central Florida is looking for experienced CNC machinists and operators. We need qualified individuals who can program CNC’s at the machine and utilize software to write programs. We have positions for Mills and Lathes. Please use the contact us page to send us your resume. LCP Machine is growing fast and we are looking for experienced inspectors!! Please use the contact us page to send in a copy of your resume. The optimal candidate will have several years of experience working as an inspector in a shop that makes precision CNC components. Working knowledge of how to program and operate an automated CMM is a must. We look forward to hearing from you. LCP Machine’s Quality system has been following the AS9100 standard for a while and we are getting ready to make the next big step. We are currently working with various registrars to get through the certification process. This is a huge step in our company, and we look forward to working with some of the biggest manufacturers who require their suppliers to be AS9100 certified. Mastercam x7 is up and running! LCP Machine has recently upgraded to the latest version of Mastercam. With the addition of MasterCam X7 Mill Level 3 with MultiAxis, we can take on the most complex machined components. Send us your solid models from your favorite CAD tools and we can quickly turn around estimated run times and costs.